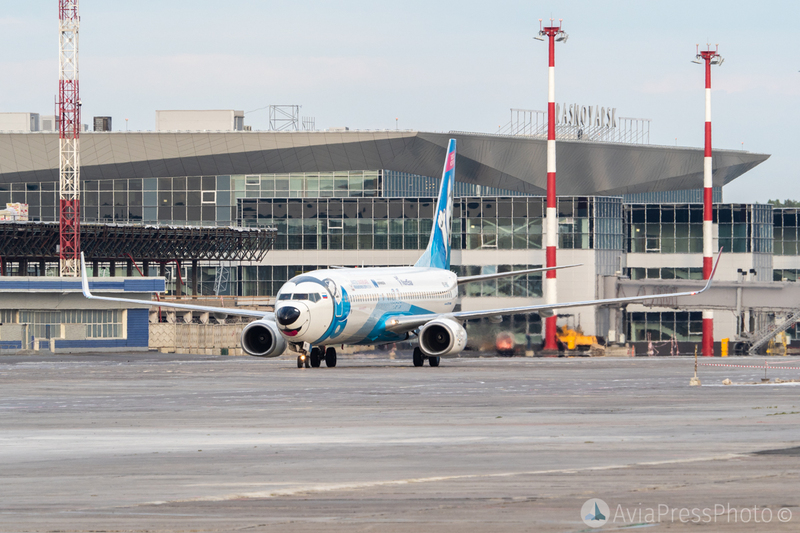 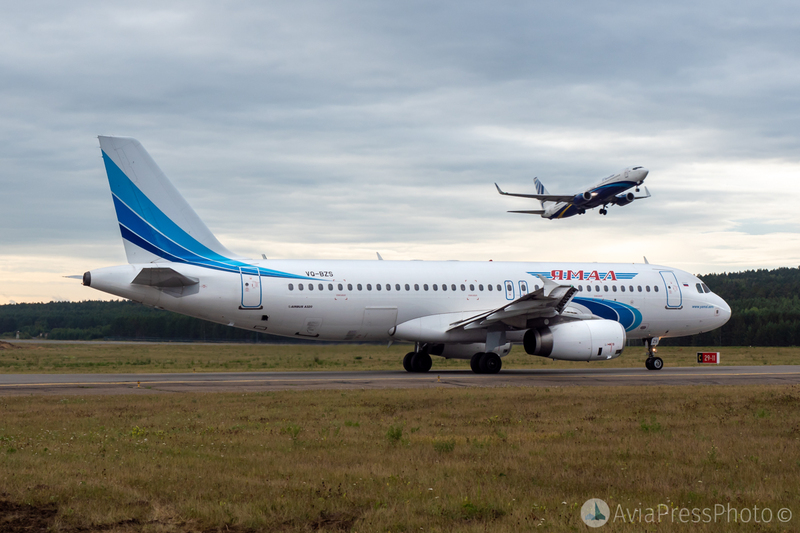 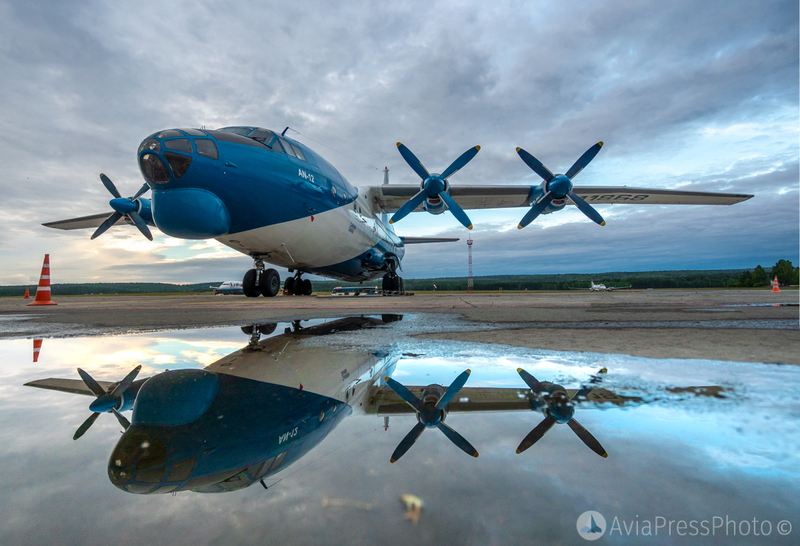 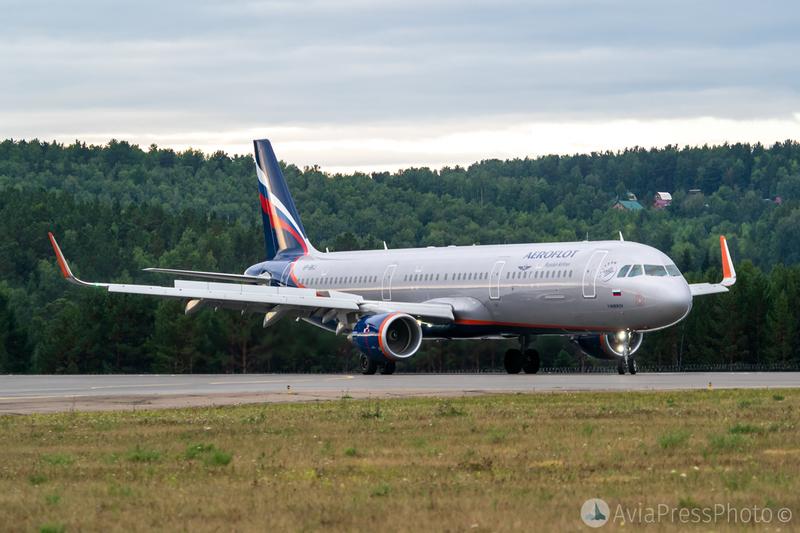 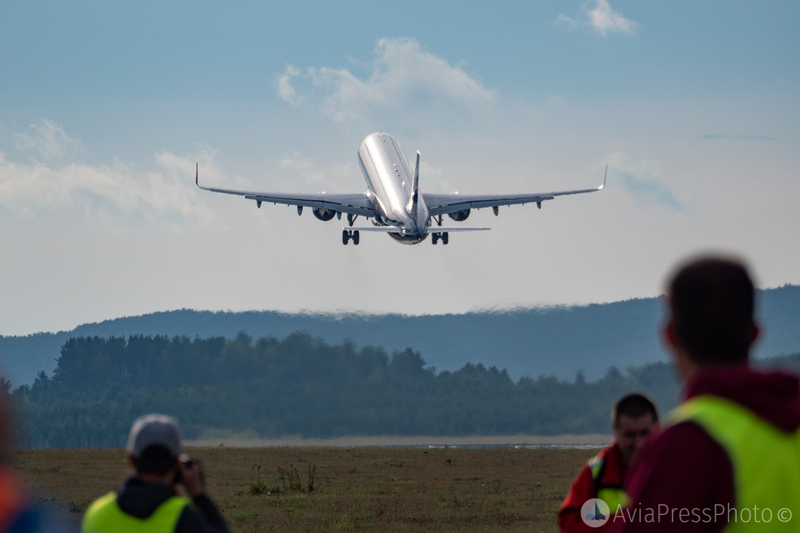 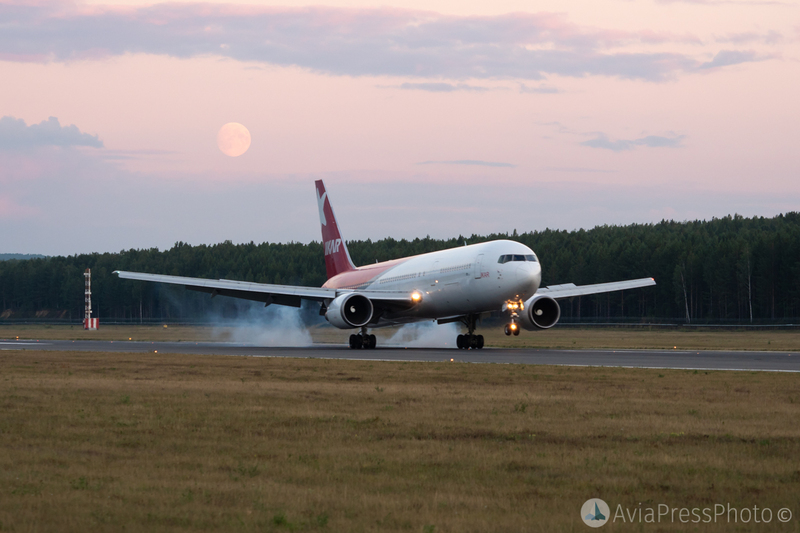 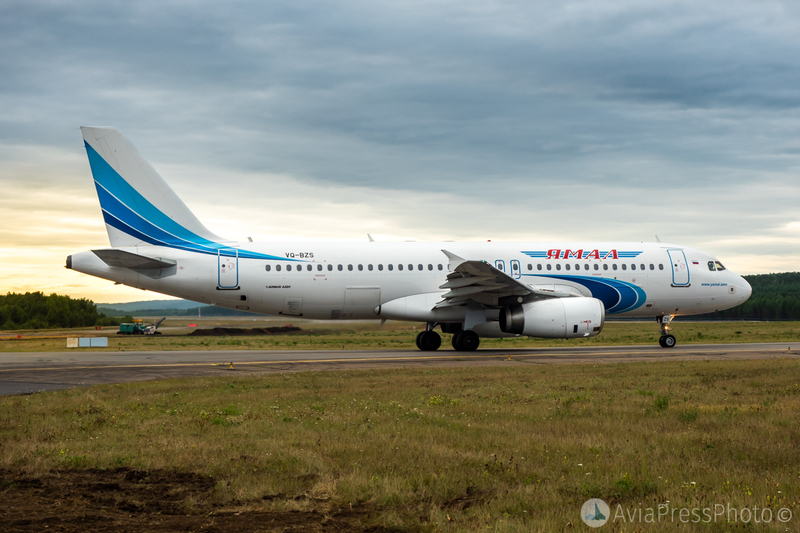 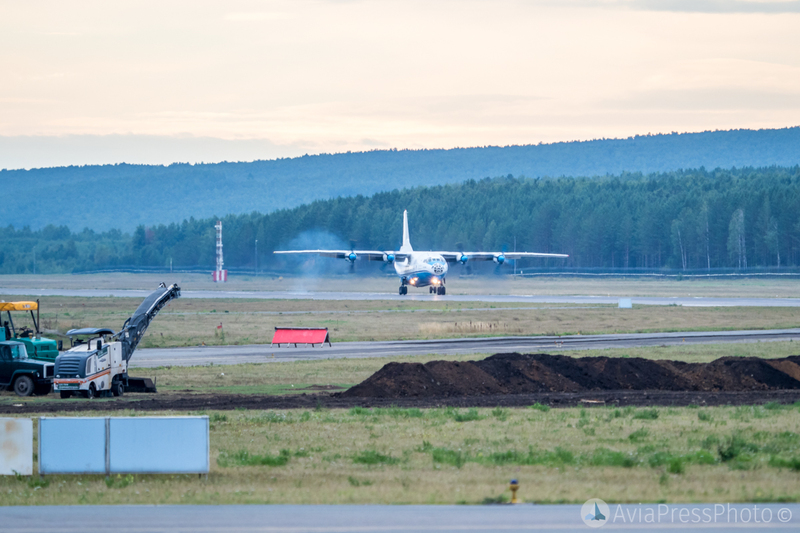 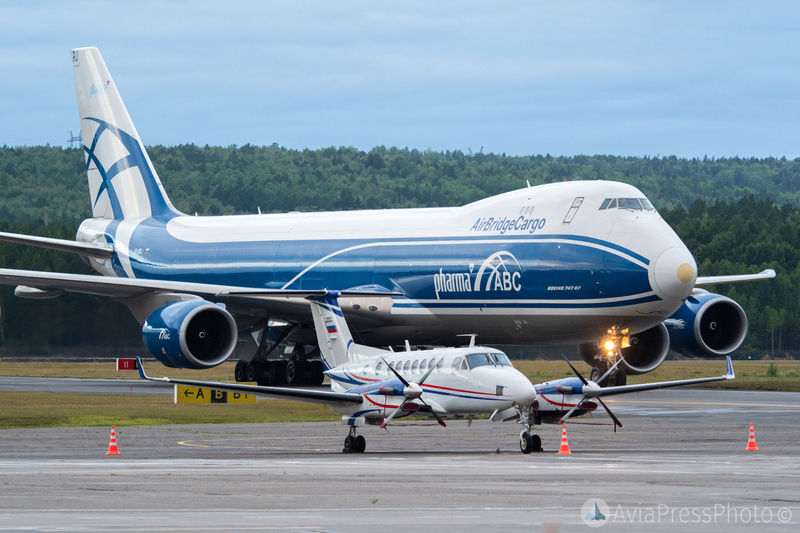 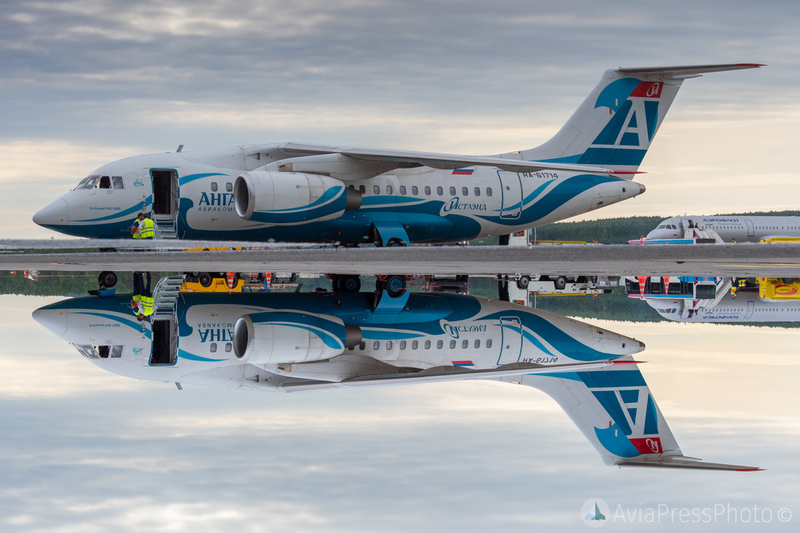 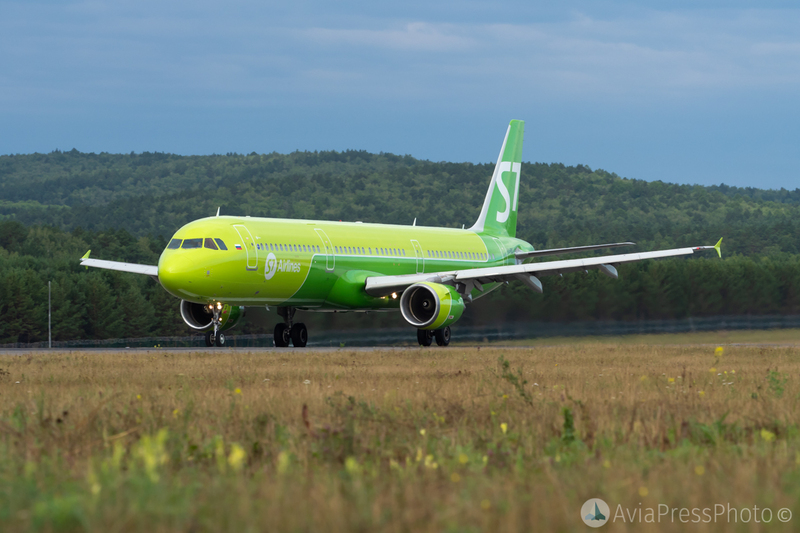 On August 23-25 at Krasnoyarsk International airport took place traditional summer spotting and more than 40 aviation fans and journalists took part in it. 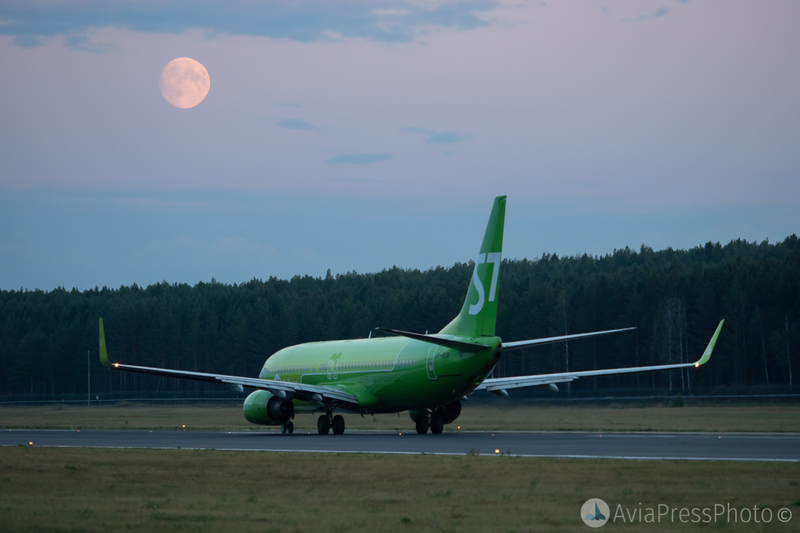 This time two symbolic things happen. 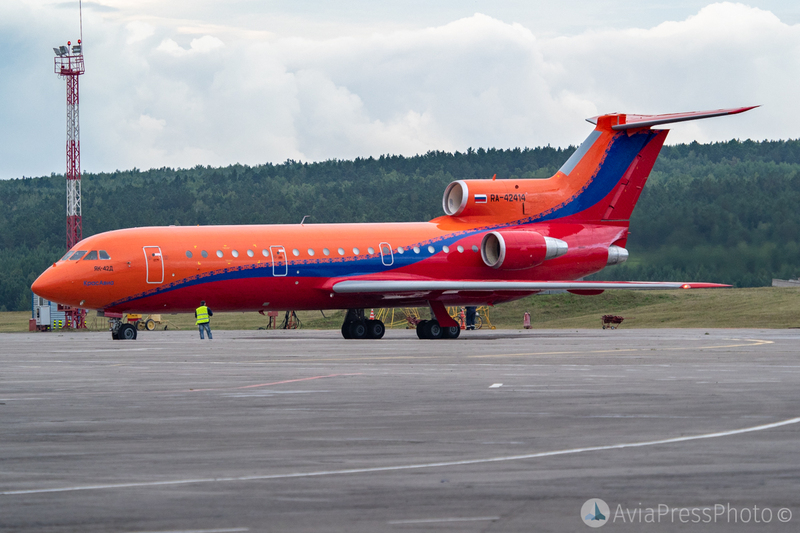 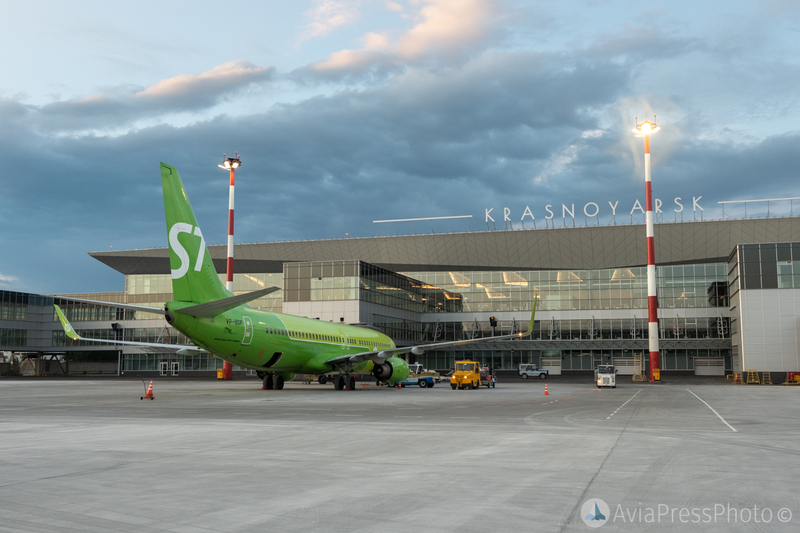 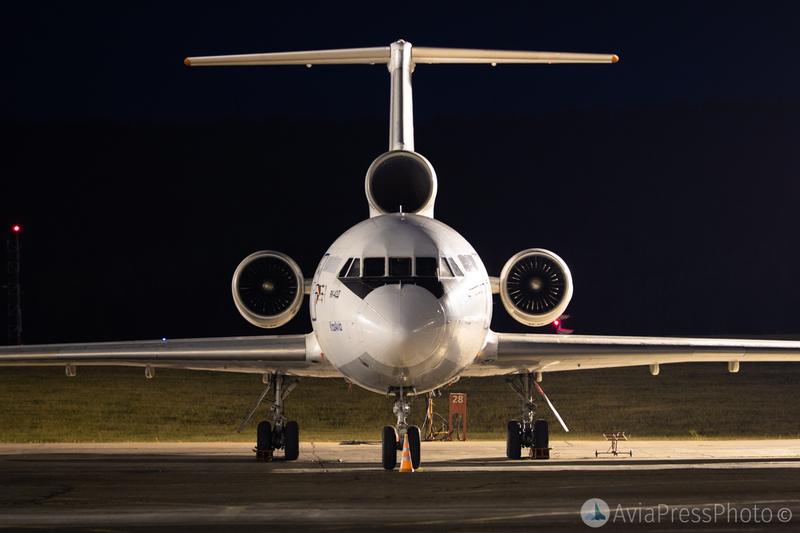 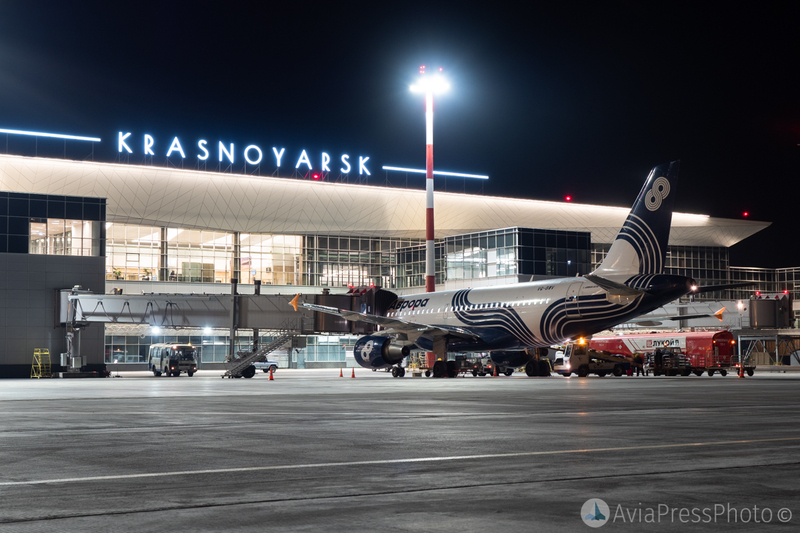 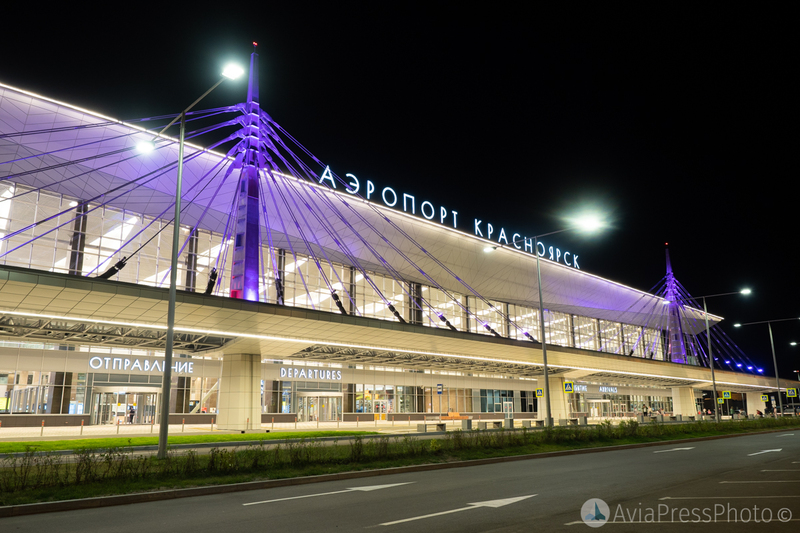 First of all, the airport has been changed name from Emelyanovo to Krasnoyarsk, so, we might say that this spotting was the first in history of Krasnoyarsk airport. 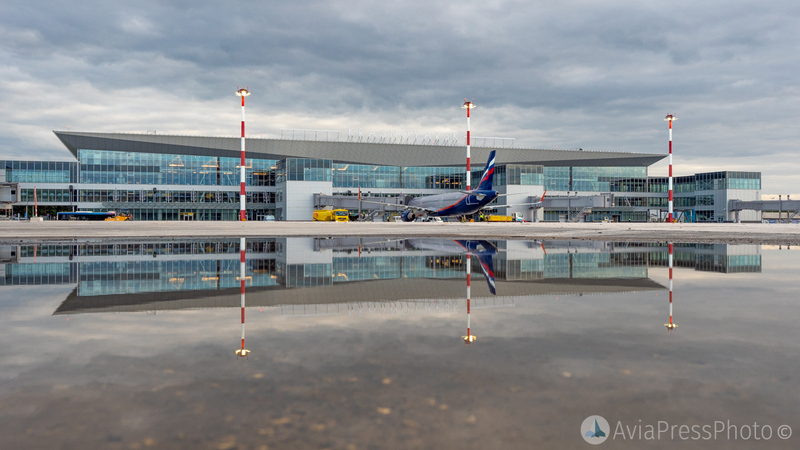 In the second place, spotters were able to walk on new apron and took pictures of aircrafts being served at new terminal, which has been opened at end of 2017. 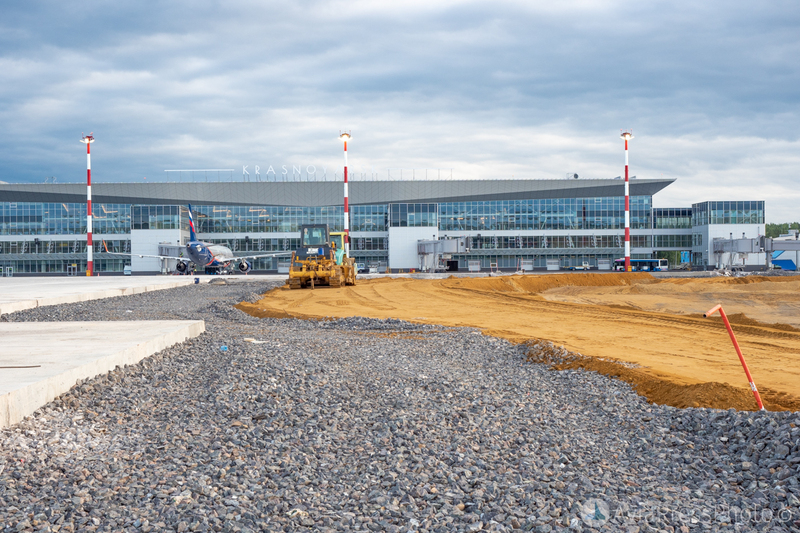 The new terminal doesn’t work at its full capacity for now, there is an unfinished stands opposite of the building and reconstruction of taxiways in progress. 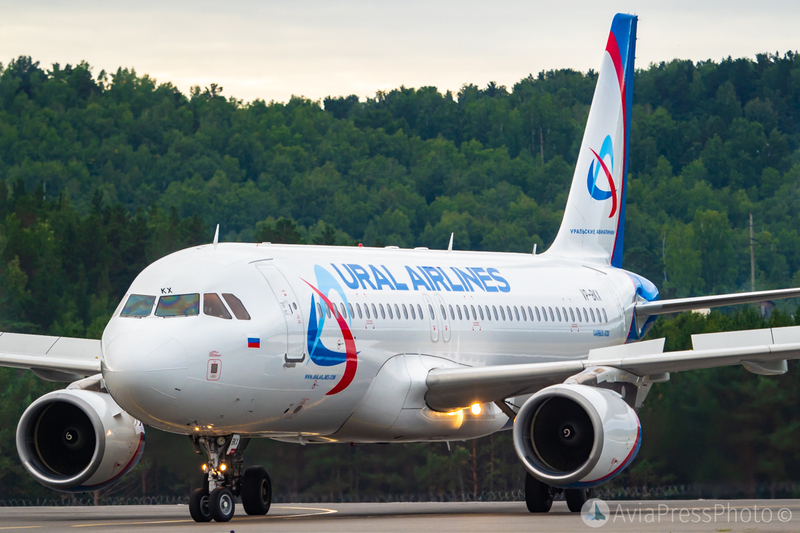 Nevertheless all work will be done before Univesiade 2019 begins, which take place at Krasnoyarsk. 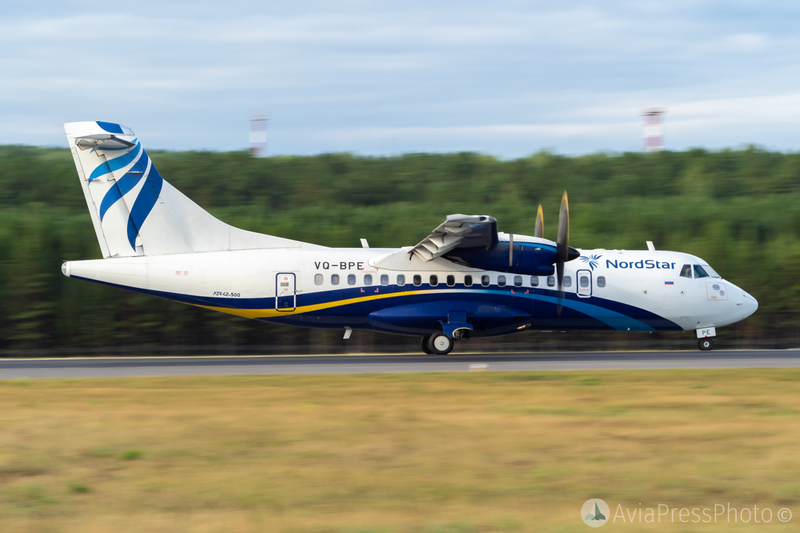 By the way, the very first flight, which was served in the new terminal, was a NordStar Boeing 737 painted in Universiade livery. 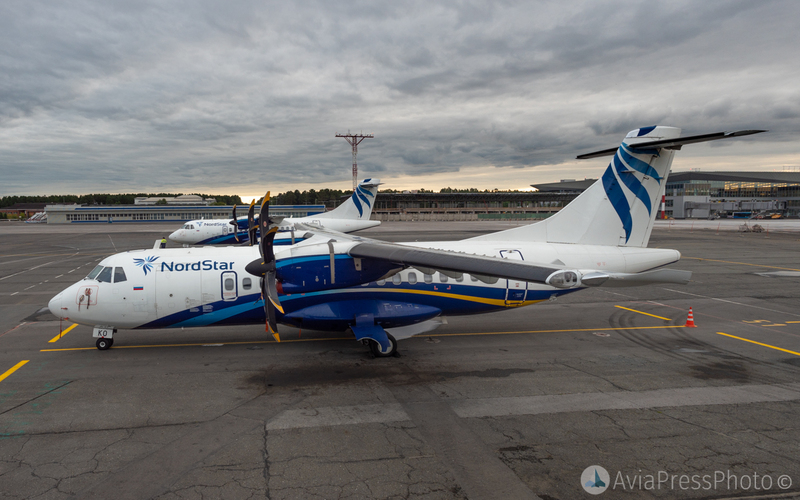 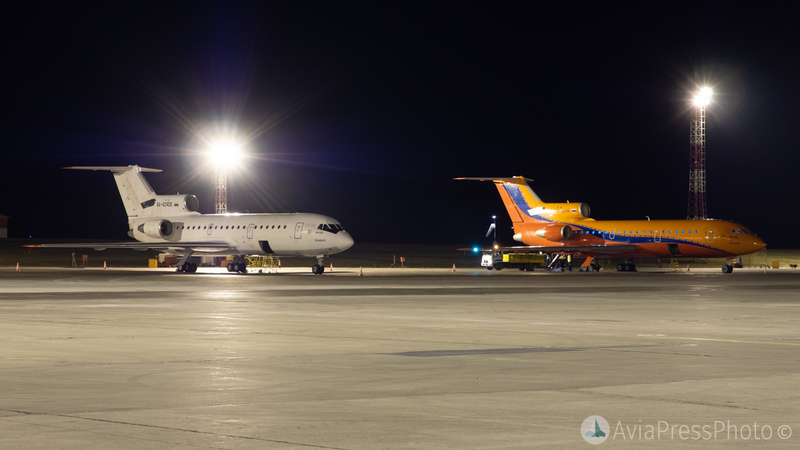 The airport is hub for NordStar and Krasavia airlines. 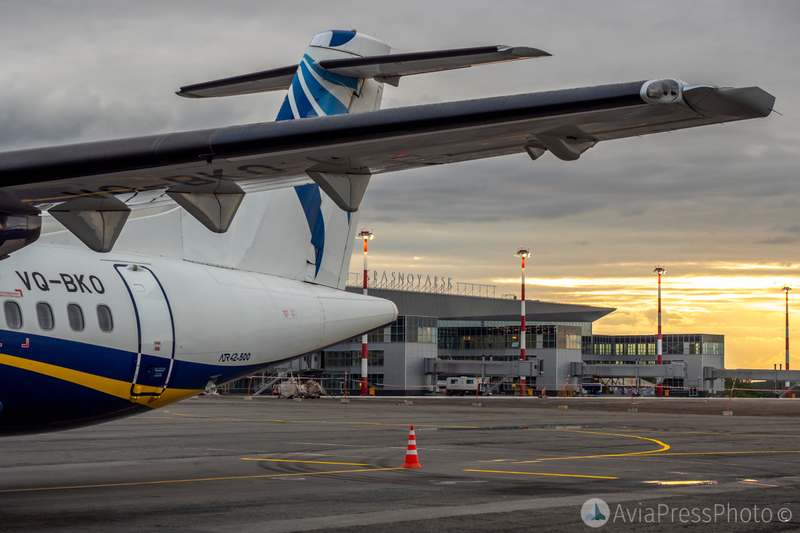 In 2016 Lufthansa Cargo moved their department from Emelyanovo to Tolmachevo (Novosibirsk), but some captions still remind of that times. 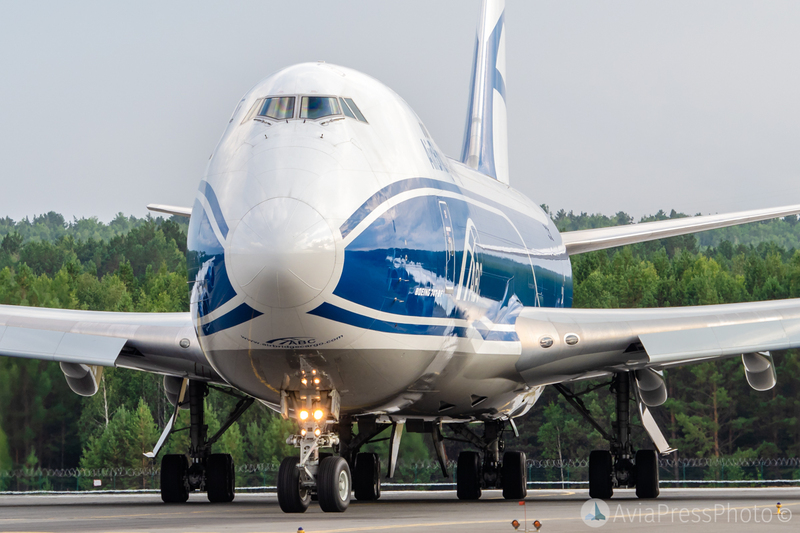 On the other hand, in 2017 the airport got new partner – AirBridgeCargo, russian cargo airlines, and now has plans to build new cargo hub for them. 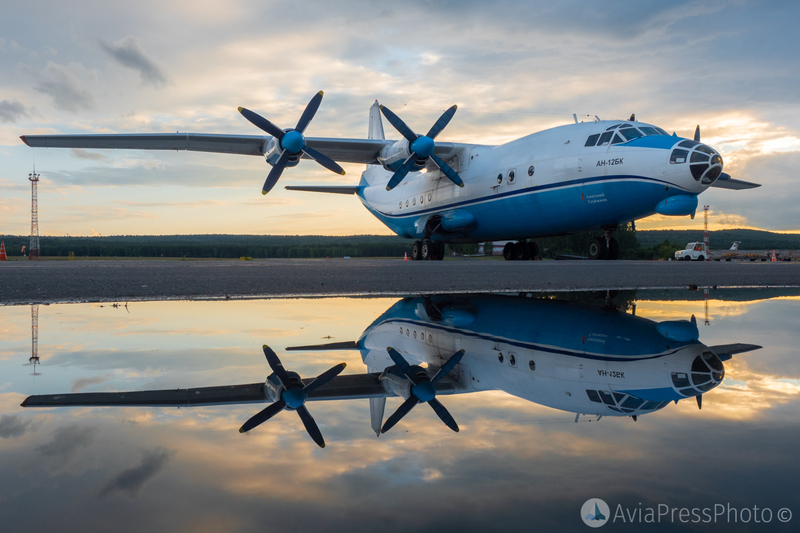 Also there is a aviation rescue center of Ministry of Emergency Situantions on the west side of the apron, which participates in rescue missions in Siberia and other regions of Russia. 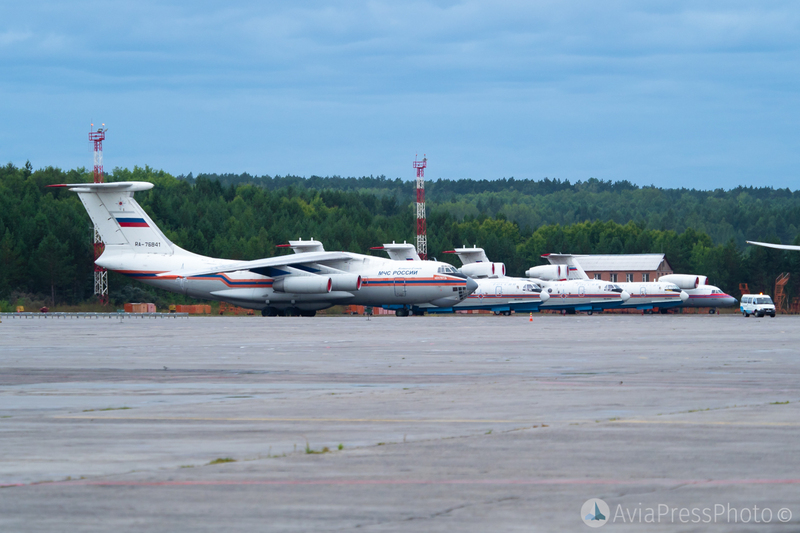 Its fleet contains Il-76, Be-200, An-74, Mi-8 and Mi-26. 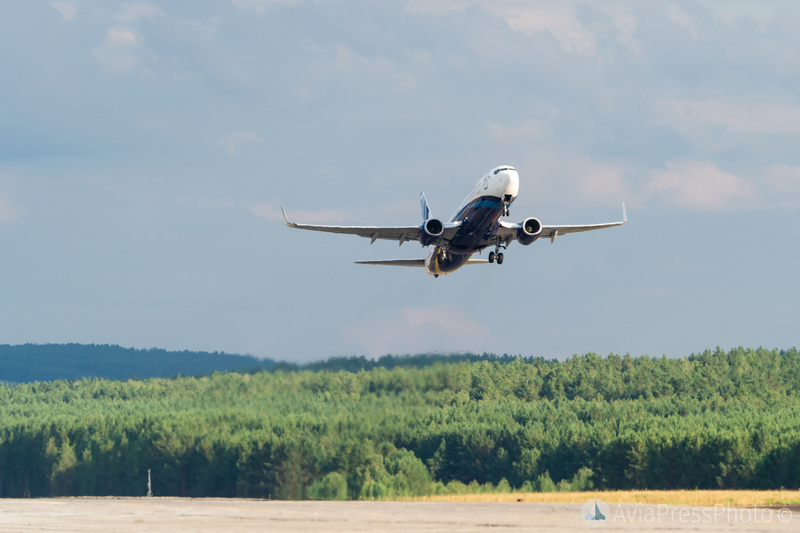 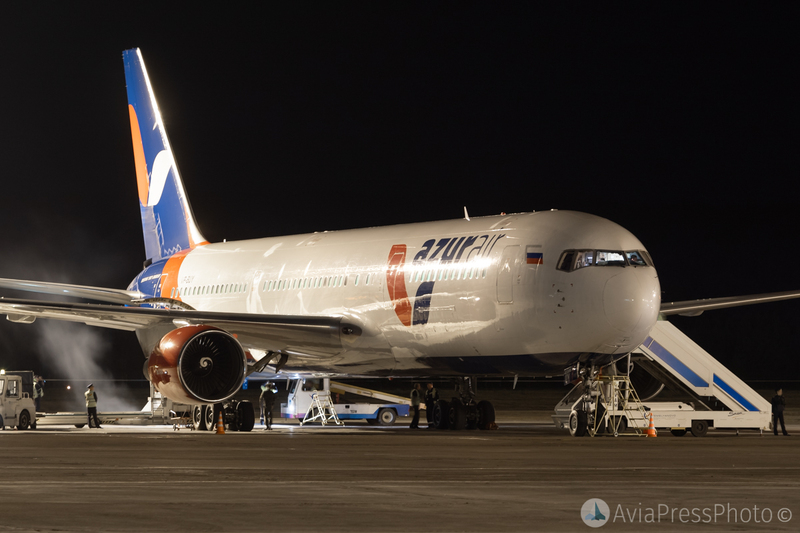 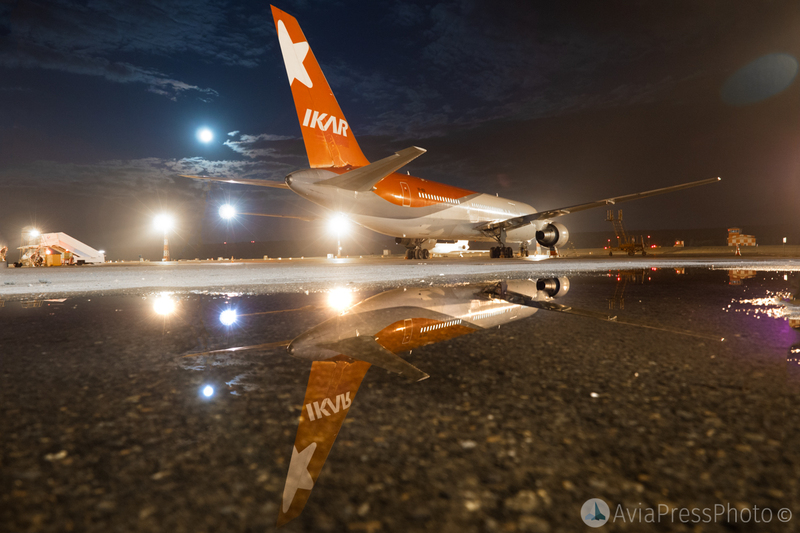 Krasnoyarsk airport route network contains 65 routes, including 45 domestic and 20 international ones to 14 countries. 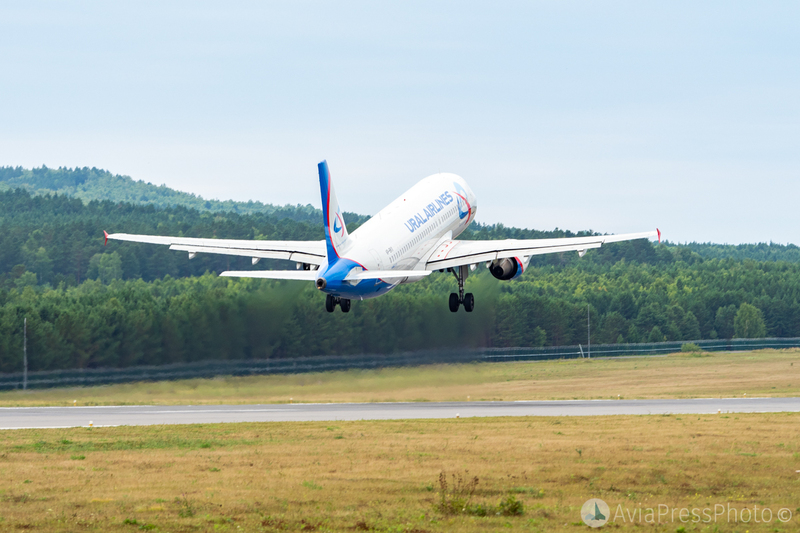 Flights are operating by 27 russian and foreing airlines. 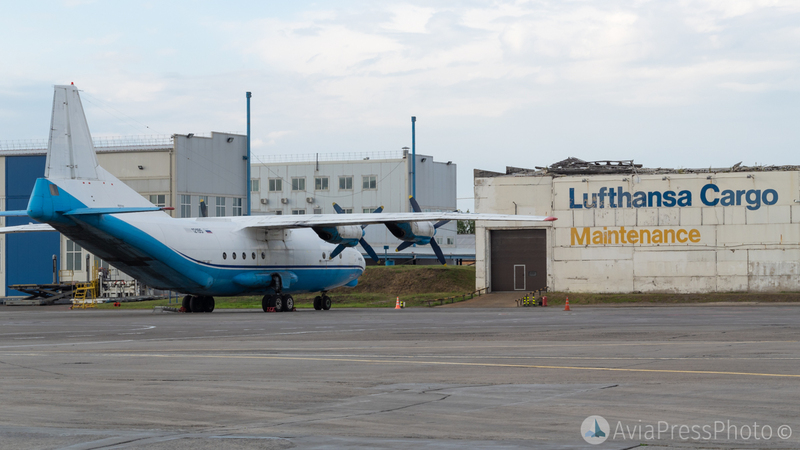 Spotters were especially happy to see a few particular guests. 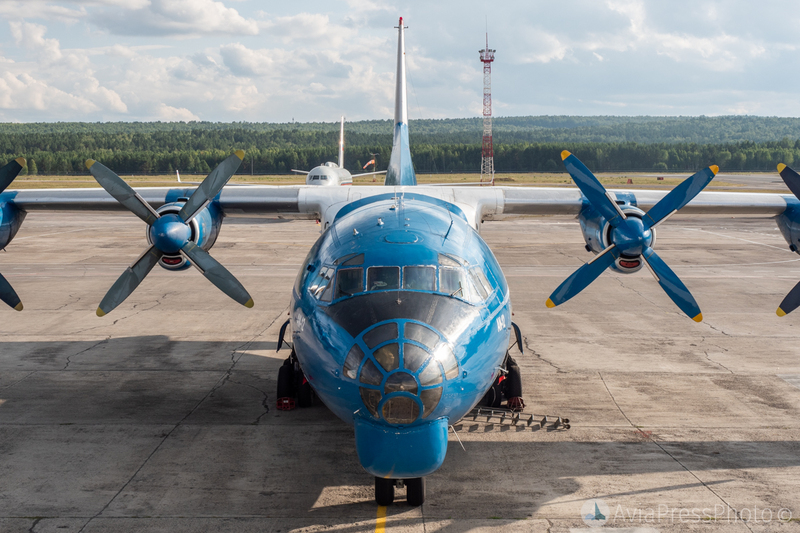 First of them is soviet An-12 of SibNIA, which came early morning of first day. 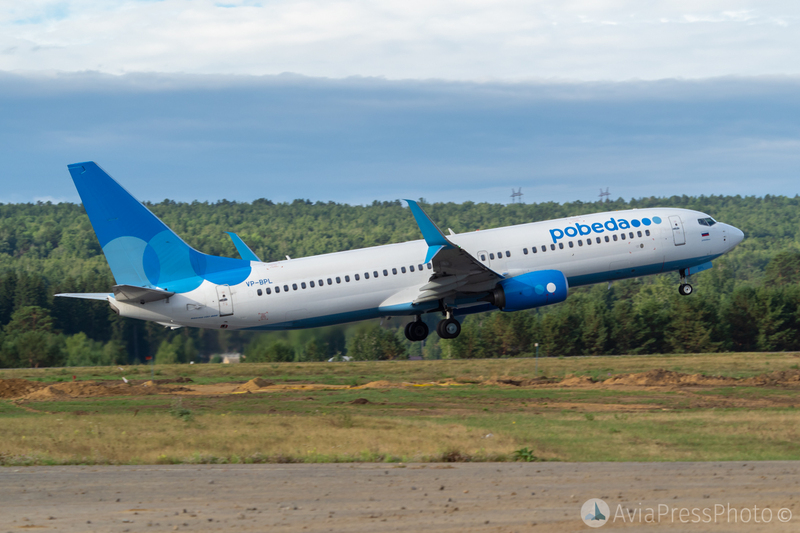 Второй – самолёт-облётчик радио-технических средств аэропорта, принадлежащий ФГУП «Госкорпорация по организации воздушного движения». 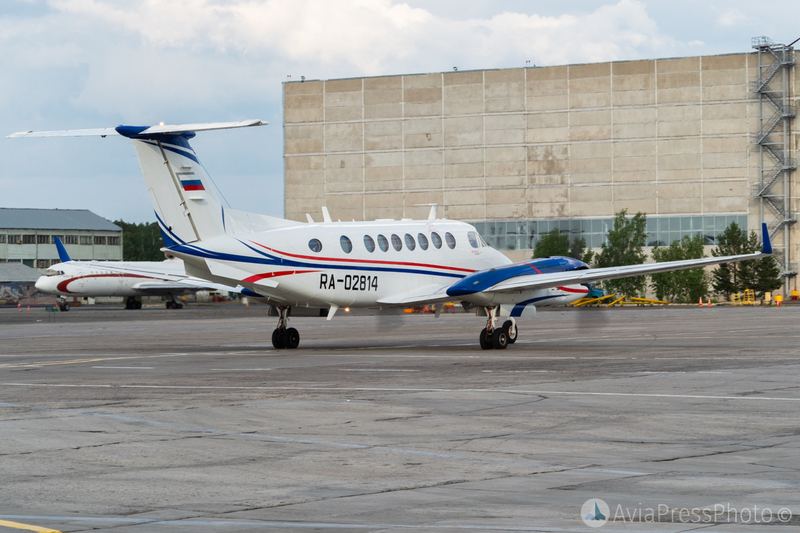 Second one was special aircraft of government aeronautical company, which performs checks of radio navigation equipments. 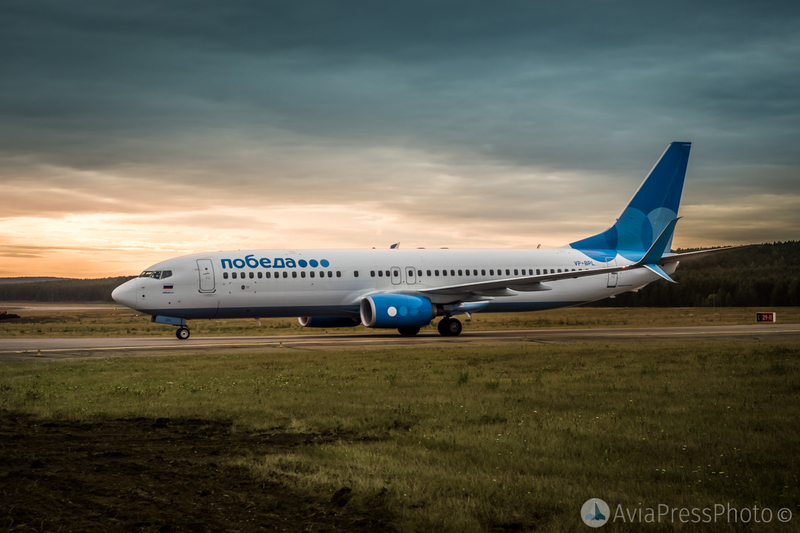 Ну, и главный подарок – самолёт-ретранслятор Ту-214СР, принадлежащий специальному лётному отряду «Россия», и обеспечивающий первых лиц страны спецсвязью, где бы они не находились. 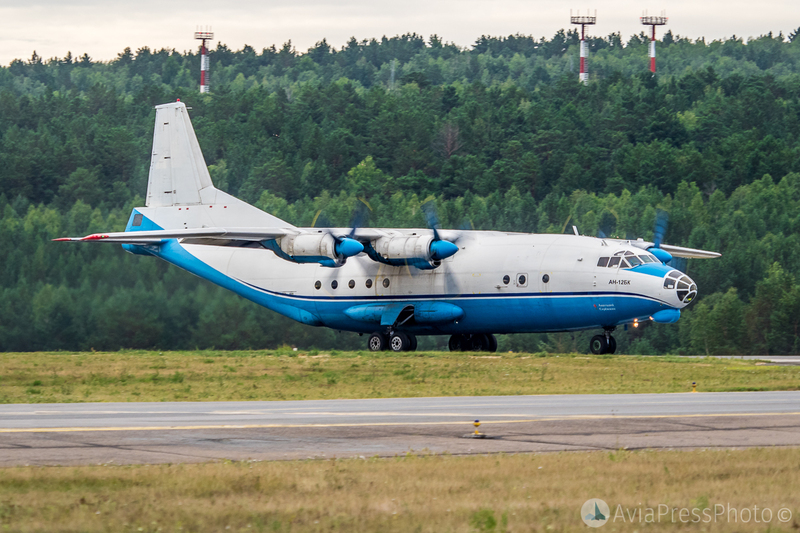 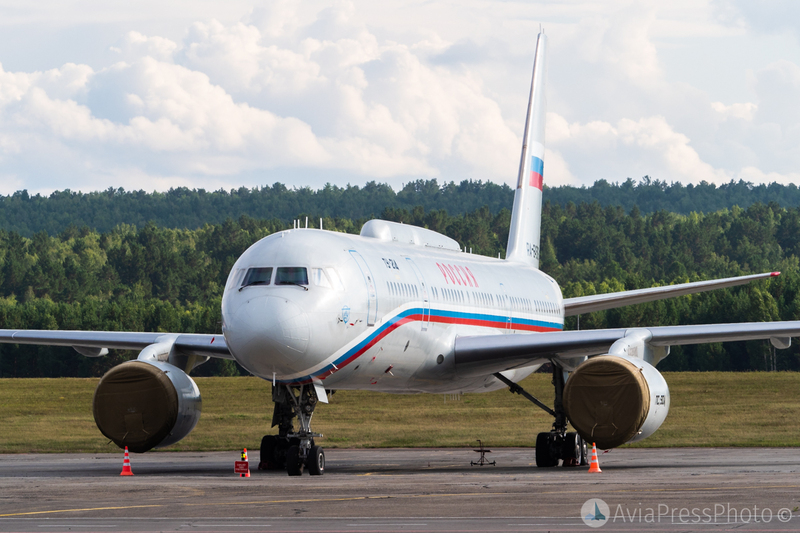 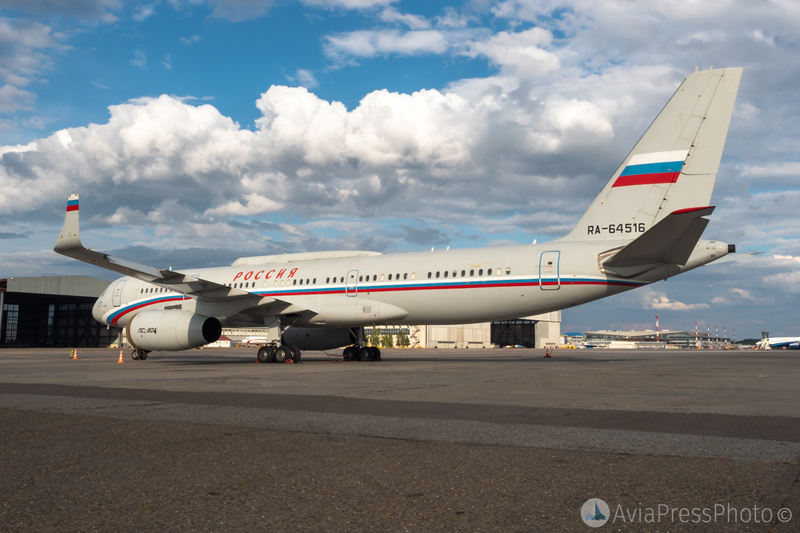 The main present was aircraft-repeater Tu-214SR, owned by Special Flight Squadron of Russia and providing secured connection for heads of government of Russia. 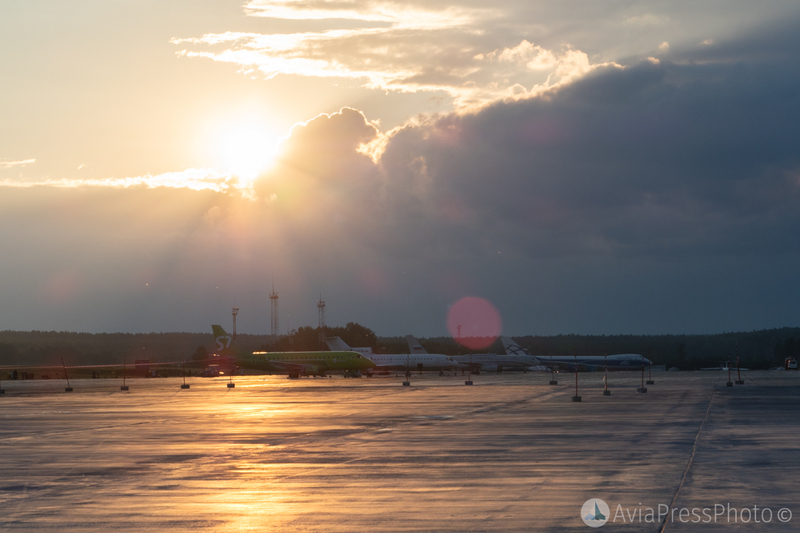 Despite of cloudy weather and not so vivid sunsets and sunrises, as they could be, the event was great, and I want to thank for that PR-department of International airport Krasnoyarsk.